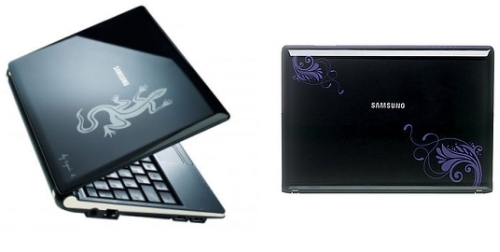 Over the past few days, the folks at SammyNetbook have spotted two different designer edition netbooks from Samsung. A few days ago, Samsung launched the Agnes B. Edition NC10 netbook in France. This model is basically just a standard NC10 with a stylish lid signed by the designer, and featuring a lizard. Now it looks like UK retailer John Lewis is selling another version of the Samsung NC10 with a floral pattern on the lid.